Order: Meeting called to order by Jack Metz at 7:03 PM. Approval of Prior Meeting Minutes: The minutes from the October 16, 2018 meeting were approved as issued. Parish Council President Comments: Initiated the meeting without comment. Parish Manager’s Report (Tom Doyle): Tom handed out Daily Reflection booklets for the Advent Season. A notice was placed in the Bulletin and announcements were made at Masses regarding Rev. Duran. 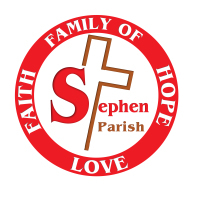 The Parents at the School have been notified and letters have been sent to employees who are no longer employed by St. Stephen who were also here at the same time as Rev. Duran. Tom and Nick Turco attended the Stewardship conference, lessons learned there will be utilized in our efforts to improve our stewardship programs. Purchasers of the Bell Shoals property have exercised an additional extension thereby postponing the closing on the sale of the property until December, 2018. Negotiation of the sale of the property is exclusively in the hands of the Diocesan Office. We have no other knowledge as to what caused the delay. We have discussed the move of the St. Vincent DePaul operations to our new campus in mid-January, 2019 with their leadership team. Will be working through the logistics of this move over the next 8 weeks. Finance Committee Report (Gustavo Bustamante): The Finance Committee has completed the reformatting on the monthly financial report, a copy of which is attached. The report will be released after it is approved at the next Finance Committee meeting. Collections are approximately 5% behind budget. We remain in a healthy reserve position despite the lag in collections due to the savings in salary and benefit costs from open positions. Fr. Dermot and Tom Doyle were not concerned about the small lag in collections as it is typical for this time of the year. The Finance Committee also approved the formation of the endowment program. Feast Day Parking & Recruiting Music Minister (David Papke): David met with Matt Preszler to discuss the Feast Day parking plan which we plan on implementing for Christmas Eve. Matt has an MOT (Maintenance of Traffic) certification which is required for any lane closure on a public road. Matt recommended that we utilize a contractor to design, lease and setup the necessary barricades to close the curb lane on Boyette Road after Mass. Matt provided the names of three contractors to Tom Doyle. Our most recent candidate for the Director of Music Ministry position has declined our offer after returning to his current Parish and dealing with a great deal of pressure to remain. We have suspended our search effort until January, 2019. Dr. Mark Majeski has agreed to direct the Adult Choir and provide Organ instrumentation on Sunday Masses until Christmas. Outreach, Welcoming and Stewardship (Nick Turco): Bill Brown has issued booklets providing a guideline for interaction with Parishioners. Booklet will be utilized by volunteers who will be reaching out to Parishioners. 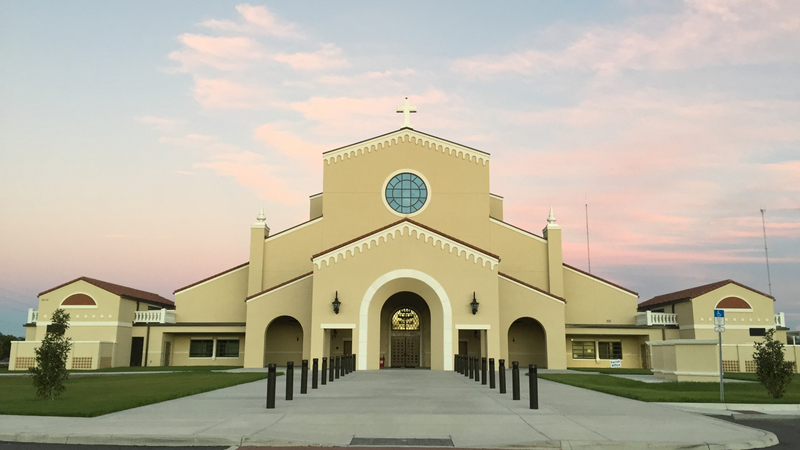 The Welcoming Committee currently has 100 volunteers who will be calling 5 Parishioners each to obtain feedback on the spiritual health of our Parish. The focus of the Committee is finding ways to be welcoming to Parishioners from the time they enter the parking lot until the moment they depart. They will be test driving their initiatives during the Advent Season. The Committee will be focused on two main initiatives, 1.) Welcoming new parishioners and 2.) Validating the Parish database. Regarding the Stewardship initiative, Nick Turco and Tom Doyle attended the seminar at the Bethany Center and will be using ideas gained there to reach our goals. Strengthening the Spiritual Life of our Parish (Ted Russell): To achieve our second goal of strengthening the spiritual life our Parish Ted is working on a Catechesis of the Mass. The work will be titled “A moment in the Mass”. This effort should be ready to roll out to the wider Parish population in the next two months. Presidents Report (Jack Metz): This Council has been working the last 2 ½ years to develop and implement our Parish Goals and Objectives, dovetailing them with the Bishop’s goals for the Diocese. St. Stephen is ahead of the game on meeting DOSP timeline for implementation. By February we will have complete set of SMART strategies for the three primary parish goals DOSP suggested: Improving Youth Ministries, Improving Family Ministries and Missionary Discipleship. We will be submitting our plan to the Bishop on March 1, 2019. The Parish Council will meet on January 5, 2019, from 9:00 AM to 12:00 Noon in special session to finalize the presentation and plan of implementation of our primary goals. Tony Basilicato has been charged with leading the discussion on Family Ministries, Nick Turco on Missionary Discipleship and Ted Russell, Youth Ministry. Pastor’s Report: Father Dermot was pleased to announce the appointment of Mike Ryba as our new Deacon. Deacon Ryba and his wife Lisa recently moved to Florida from the Chicago area. Deacon Mike’s focus will be the Marriage Mentoring program and Lisa, youth ministries. Deacon Mike officially starts on December 1, 2018. The annual Ministry Christmas Party will be in the Family Life Center on December 11th at 7:00 PM. Father would like to bring back CRHP in 2019. Phase II of the Memorial program also starts in the first quarter of 2019. Next Meeting: No meeting in December, as is tradition. Our next Parish Council meeting is scheduled for January 15, 2019 at 7:00 PM.